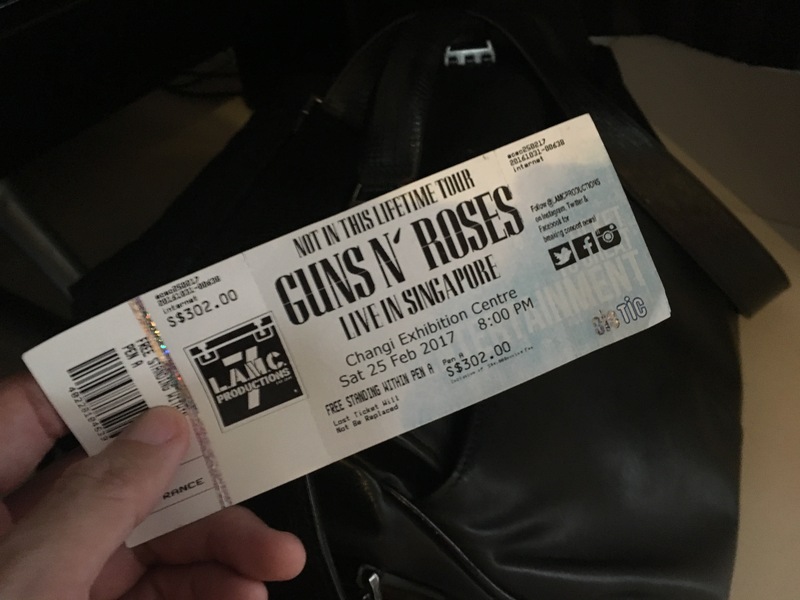 Ok, after sore muscles and sleepy eyes have gone, here is my story from the experience watching last night’s Guns ‘N Roses (GNR) Concert in Singapore. But hey, nothing lasts forever (“even cold November rain”). And people do change, including Axl and Slash. So more than a year ago they agreed to reunite for Coachella music festival in US. That was the first time people saw the original line-up of GNR in Axl, Slash and Duff shared the same stage again. Yes, Axl still carried the flag of GNR the past couple of years, especially since the release of “Chinese Democracy” album. But without Slash and Duff, GNR was not the same band, at least in my view (and I think million other rock fans share this view). When Axl visited Jakarta few years ago with his mercenaries musician, I wasn’t interested in going. And probably that was the right decision, as I heard from friends who went to that concert, he went home feeling disappointed as Axl was very much not in shape. He was fat and had trouble singing the classic GNR tunes. 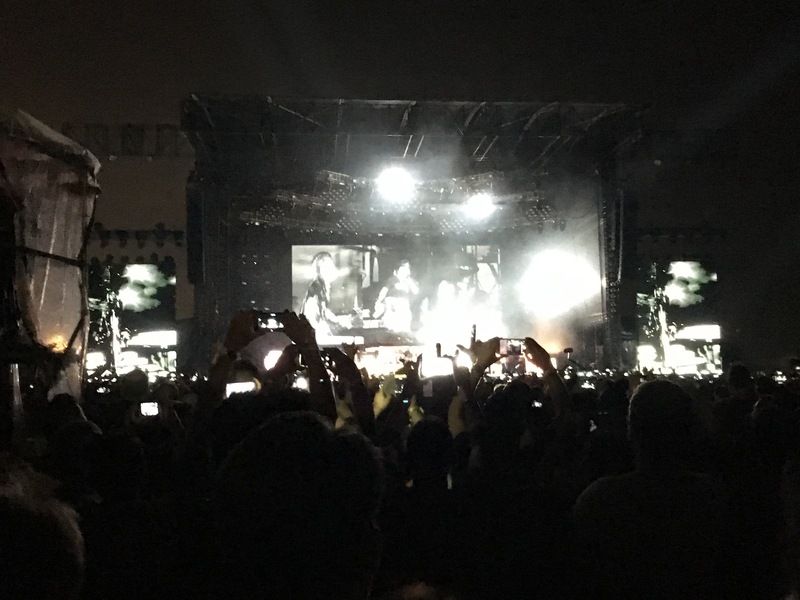 Buoyed with the enormous reception of US music fans on Coachella festival, they then planned for touring to many corners of the world, including Singapore. Of course, this is a too good opportunity to be missed. In this lifetime, exactly. So with that background, me and several other friends eagerly welcomed the plan to buy the tickets and going to Singapore. We bought the tickets early, and thank God, as the promotor sold out the tickets. 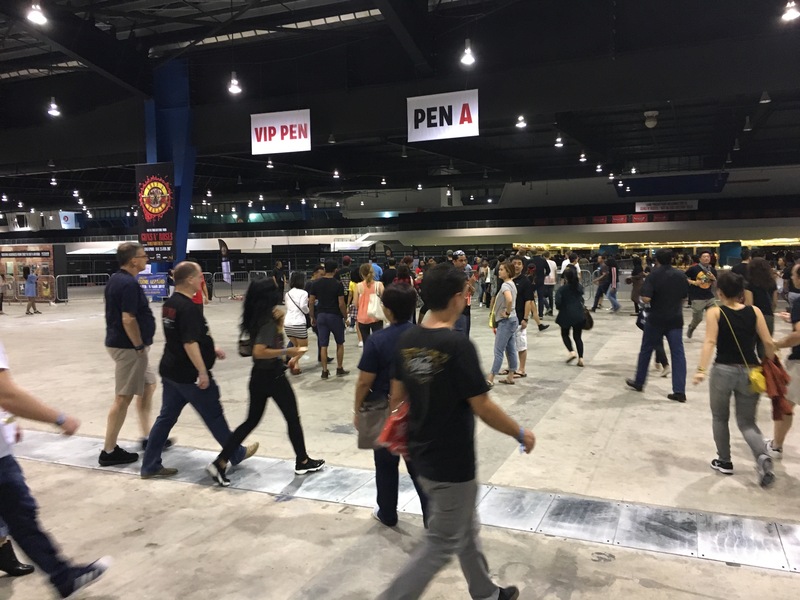 On the day of concert, We were told by the news, that the price of tickets in Singapore’s black market already exceed SGD1,000! And on our way to the concert place in Changi Exhibition Centre, we immediately saw the effect. Long traffic jam leading to the place. We drove for 1.5 hours from downtown to arrive at our destination. The GNR show started at 8 pm and we arrived around 7.40 pm. 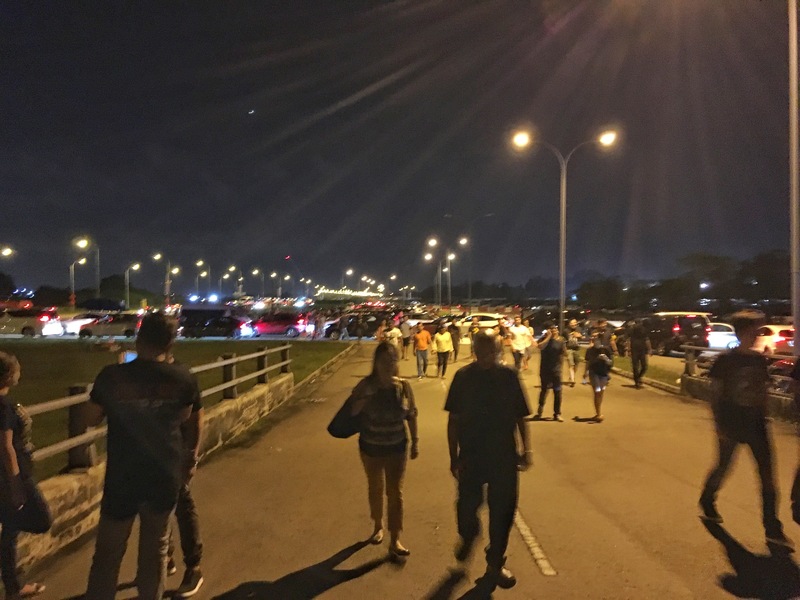 And judging from the long traffic jam, I was sure many people who didn’t come early would be late as they stuck in the unanticipated traffic jam (well, Singapore is never known for traffic jam, really). 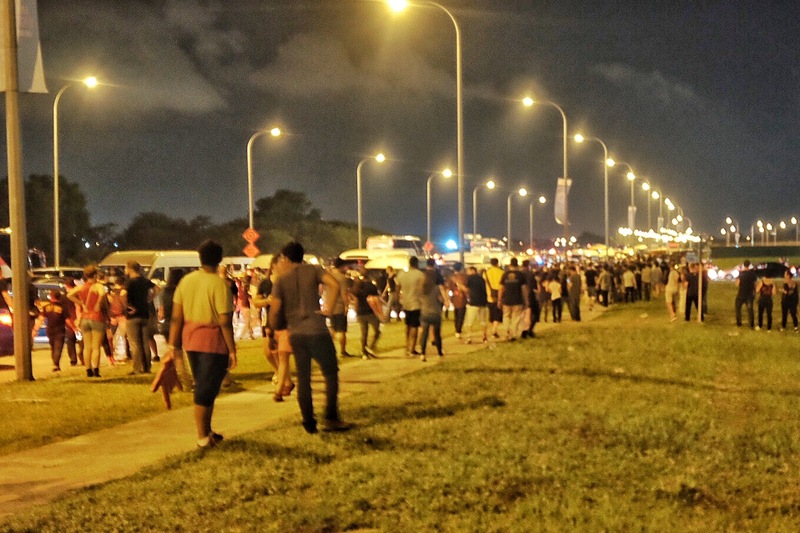 Many of the fans stopped and parked their cars along the road and ran towards concert place in hurry. “Never seen anything like this before”, said my friend who had attended number of musical concerts here. Anyway, arriving just in time, we were immediately ushered to the large tarmac place where the concert was held. When we arrived, it was already packed with people and we could only manage to stand at the back of sound manager’s tent, which was waaayy back from the stage. Luckily as common in today’s concert, there were big screens. And for this concert, there are three very big screens set at the left, right and back of the stage. It displays clear, high resolution live footages and back drop images which able to show us (who stood at the back) lots of details. From Duff’s shirt text (“Street Walking Cheetah”), Slash’s various Gibson modelsguitars to Axl’s very expensive HYT watch. So although the band members look tiny, we didn’t miss a lot of what happened on stage. Anyway, the concert started 5-10 minutes past 8pm. Which was suprising, knowing how notorious Axl and co in the past in regard to their time keeping. I initially thought Wolfmother, which was the opening act, who would come to stage. 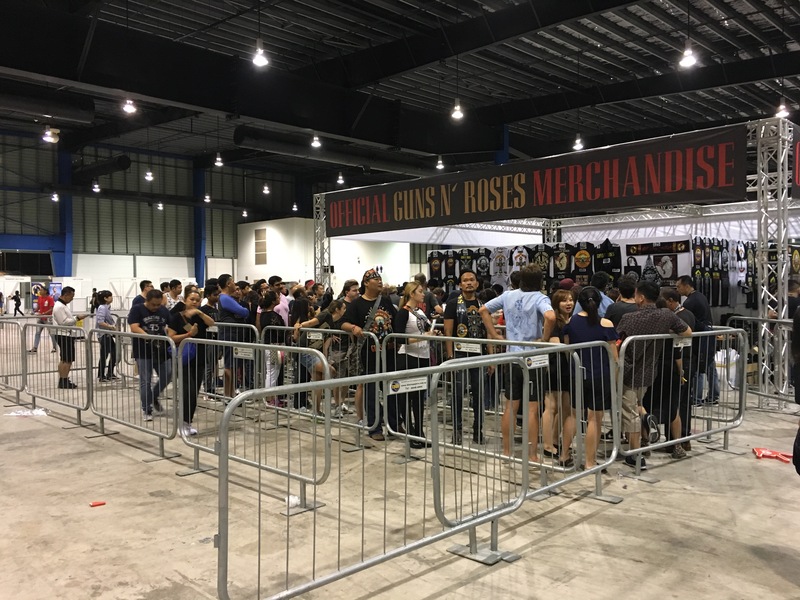 But when the announcer said “Ladies and Gentlemen, please welcome… from Holywood, Guns ‘N Roses!” then I realized the most anticipated concert in decades had just started! Long queue to buy merchandises. Bad management. Similar to their playlist in Sydney and Melbourne, GNR started with “It’s So Easy” from their monumental “Appetite for Destruction” album. I thought GNR picked this song as their opening song because it is a low-pitch song, so it won’t exert too much effort for Axl to reach high notes, as clearly Axl struggled in the beginning. His trade mark long wailing scream was not existent. He obviously tried to catch his breath. 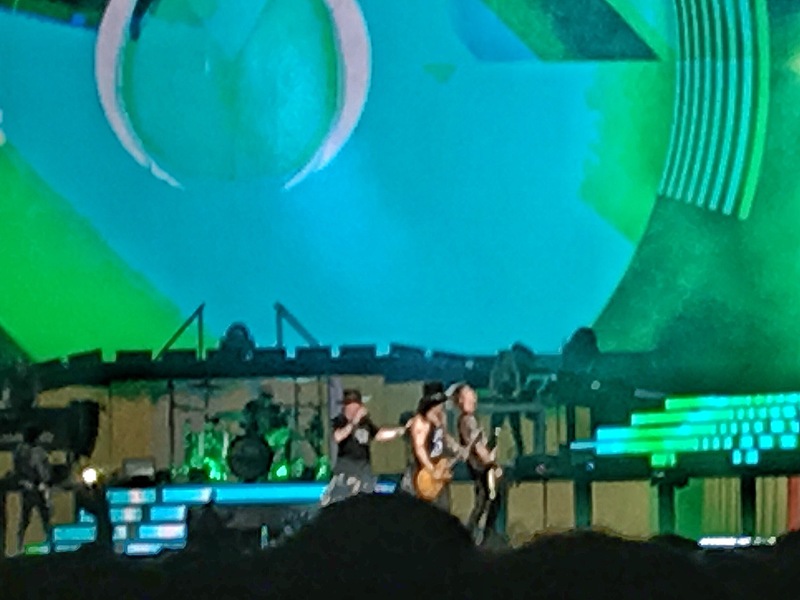 The second song “Mr Brownstone”, which has many many quick rapping song lines also exposed Axl’s degrading of vocal stamina. “Oh no”, I said myself. The fear of watching him for the rest of concert seemed to be a torture fest. Thankfully, it wasn’t the case. Gradually, through number of songs, Axl somehow gained the power of his vocals. He still can reach high notes, wail and scream in some of his trademark songs, such as “Welcome to the Jungle”. Of course, it’s not fair to compare to his former self in the prime years of hair metal (well, few will compare their physiques to their version 30 years ago). But as guy in 50s, touring non stop for 6 months all around the world, and still running and dancing at the stage, his performance was commendable. He clearly took some exercise to reduce his weight and improve his stamina. He appeared and performed much better than “when he was in Ancol few years ago”, my other friend said. The best of Axl and band’s performance, in my opinion was on the 7th song on the list, “Estranged”. One of the hit single from “Use Your Illusion” album, the song is relatively complex one, include some change in dynamic and tempo within. But the band performed flawelessly. The vocals were spot on and the band was neat and tight. Speaking of the band, well you just had to say something for Slash. He is probably the only one from GNR line-up who remain relevant and significant in the music scene since the break-up of the band. Late in 90s, he (and Duff) formed the supergroup Velvet Revolver with the late Scott Weiland as the frontman. It was relatively successful. He was also often featured as guest guitarist in number of major records. His latest venture was his cooperation with Myles Kennedy (vocalist of Alterbridge) which resulted in 2 fairly successful and critically acclaimed albums. I followed their musical and loved their albums. 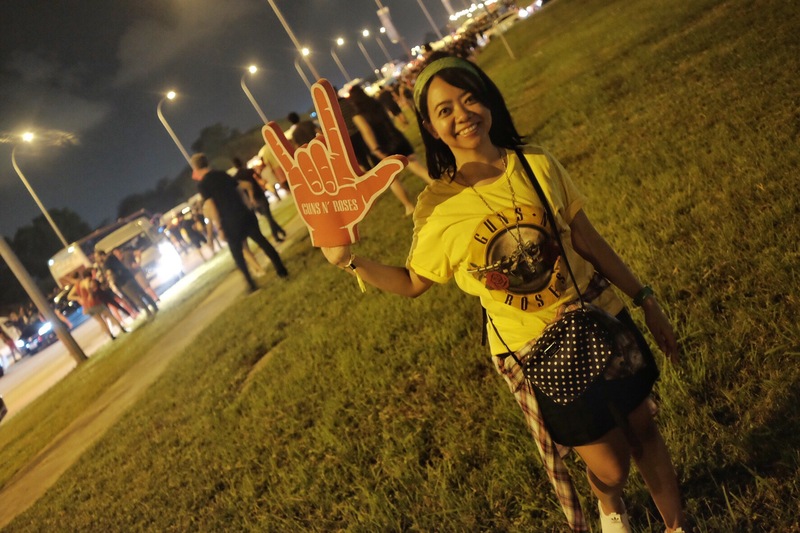 I even came to their concert, when in 2010 Slash and Myles Kennedy came in Jakarta. And it was really a great, great concert. Drew massive energy from the crowds in Indoor Stadium Senayan. And dare I say, Myles sang some of Guns ‘N Roses classic tracks better than Axl! Anyway, back to Slash, well as I said, Slash is still Slash. Not only you won’t mistaken him with this trademark black hat and Les Paul guitar, but I think age only made him a better musician. He nailed notes by notes in his riffs and solos flawlessly. He looked as cool as ever and projected charisma to audience. One special move from Slash drew loud cheers and screams from the audience. Magic. 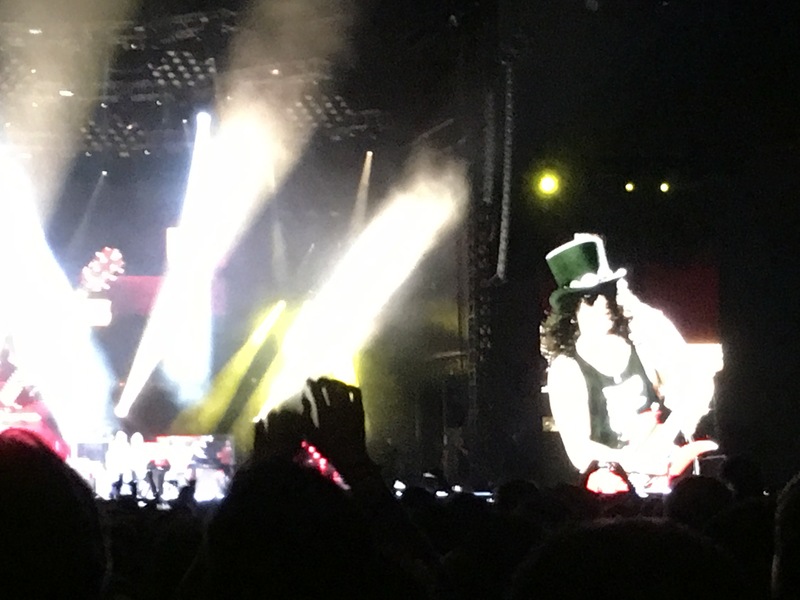 In total, GNR played 25 songs last night for almost 3 hours. For GNR true fans, it was a true fans play list. As it had everything from their catalogues, from first album “Appetite for Destruction” to the latest one “Chinese Democracy”. They included some of less mainstream strong — but fans favorite, such as “Coma” and “Double Talkin Jive”, the guitar licks of “Godfather” and some of cover songs from “Spaghetti Incidents”. 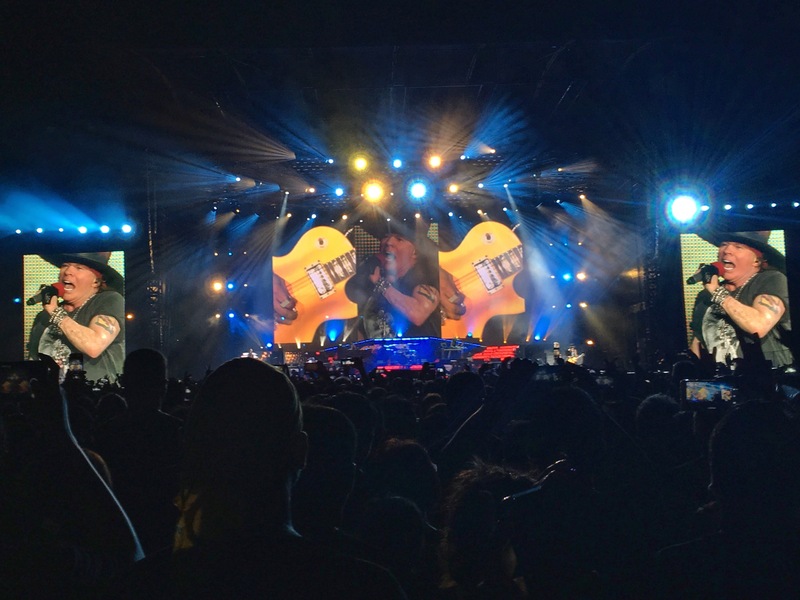 Of course, popular tracks such as “Sweet Child O’ Mine” and “You Could be Mine” had to be in the playlist, although some fans left wondering why “Don’t Cry” wasn’t played. I guess some section of the fans would rather to replace “This I Love”, a ballad from “Chinese Democracy” with “Don’t Cry”. But I guess Axl also had interest in promoting his latest songs, as they were less known by audience, judged from their reactions. So in overall it was a memorable concert. From musical performance point of view, it’s not the best concert I’ve ever watched, far from it. 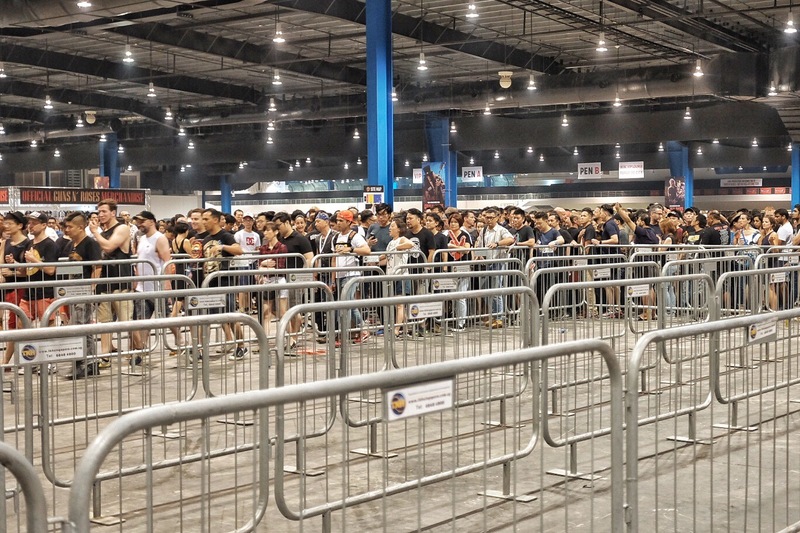 In term of concert organization, despite it’s held in Singapore, it was disastrous (long queue for merchandise and drinks, bad traffic arrangement around the event, etc). In term of audience, although it drew very big crowd, it was no match to the energy of Metallica crowd in GBK. But really, it was one of the most memorable ones. Being able to watch live our old school heroes, whom we thought wouldn’t be together again was one of experience not to be missed. Not in this lifetime. The crowd tried hard to look for their cars after the concert. It’s jammed everywhere.